The past 10 days have been quite a ride — packed with prizes and surprises, live performances and open houses. And, as always, we got to hear from you, the community of donors that supports the station. Without that support, CKUA is little more than an idea. You are the ones who make it real. 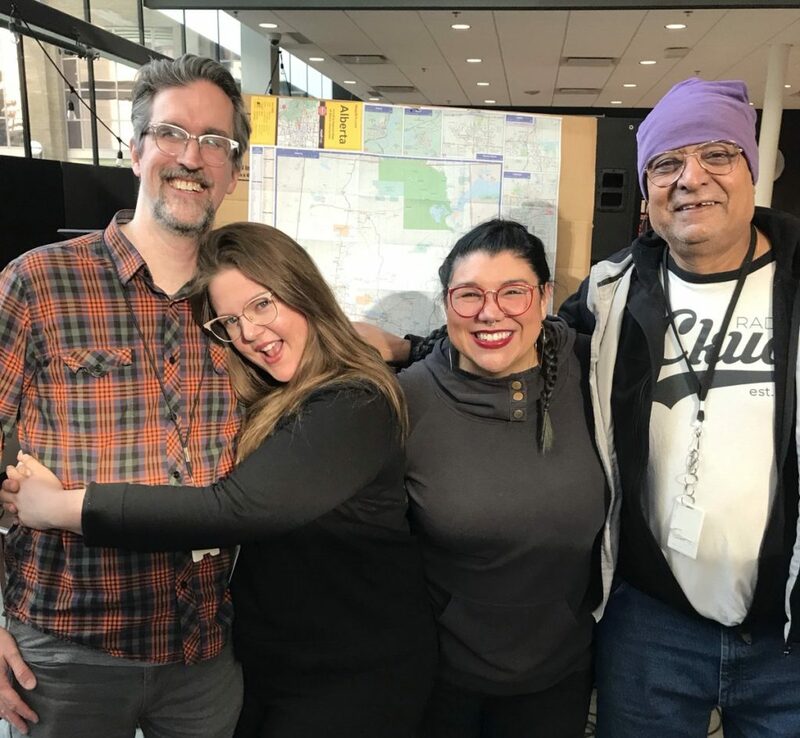 More than 3500 people made donations to help keep original radio strong in Alberta, bringing our total Sunday night to just over $573,000 (and we’re still counting. You can add to it by making a donation online now!) Thank you to everyone who gave. Thank you to our fabulous volunteers who give their time to make fundraiser happen. Whether it is working during the open houses, handling the phones or the dozens of other tasks they do for us, we couldn’t do it without you. Thank you to the businesses and festivals that donated the fantastic campaign prizes that we were able to offer to those who got in touch. And thank you for the local restaurants who supplied our volunteers with delicious food that kept us all powered through fundraiser.